He is an Indian citizen & permanent resident of Australia and a scholar, an author, a social-policy critic, a frequent social wayfarer, a social entrepreneur and a journalist;He has been exploring, understanding and implementing the ideas of social-economy, participatory local governance, education, citizen-media, ground-journalism, rural-journalism, freedom of expression, bureaucratic accountability, tribal development, village development, reliefs & rehabilitation, village revival and other. 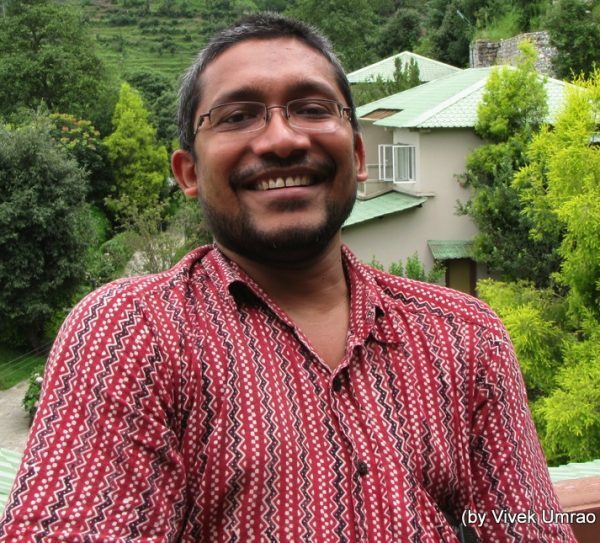 For Ground Report India editions, Vivek had been organising national or semi-national tours for exploring ground realities covering 5000 to 15000 kilometres in one or two months to establish Ground Report India, a constructive ground journalism platform with social accountability. He has written a book “मानसिक, सामाजिक, आर्थिक स्वराज्य की ओर” on various social issues, development community practices, water, agriculture, his groundworks & efforts and conditioning of thoughts & mind. Reviewers say it is a practical book which answers “What” “Why” “How” practically for the development and social solution in India.